The Beatitudes (or "blessed are" sayings) are perhaps the most recognized and most beloved passage from the Sermon on the Mount, yet they are among Jesus' most misunderstood teachings. 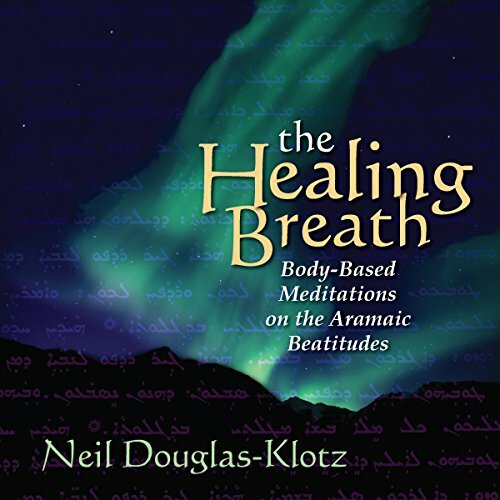 In The Healing Breath, acclaimed teacher and author Neil Douglas-Klotz leads listeners through the Beatitudes as spoken in Jesus' native Aramaic to show how this seemingly simple set of statements reveals a profound source of divine connection. With 12 in-depth sessions including 24 body prayers - authentic meditations of the ancient Middle East that use body awareness, breath, sound, and gentle movement - Douglas-Klotz helps listeners open fully to the transformative power of The Healing Breath. This was a peaceful and enlightening in several ways. I enjoyed the chanting and the commentary on the words. However, I found my self a little frustrated when the chants were longer. But, then I realized to just allow the author to chant while I loses with Healing Breath! Absolutely superb! Just finished my 3rd or 4th listening and I will for sure be listening again. Neil Douglas-Klotz is a modern day prophet and I am devoted to his word. He is a powerful way station on the path to the true essence of authentic Christianity! fantastic history , meditative healing practices . fantastic history, warm comfortable narrating , somewhat gradual difficult words to repeat. Overall highly recommended for serious seekers of self and their purpose and relationship with Divine . Very clear and precise teaching bringing the message of Jesus across with great empowerment and insight!